Projections from the Underground. 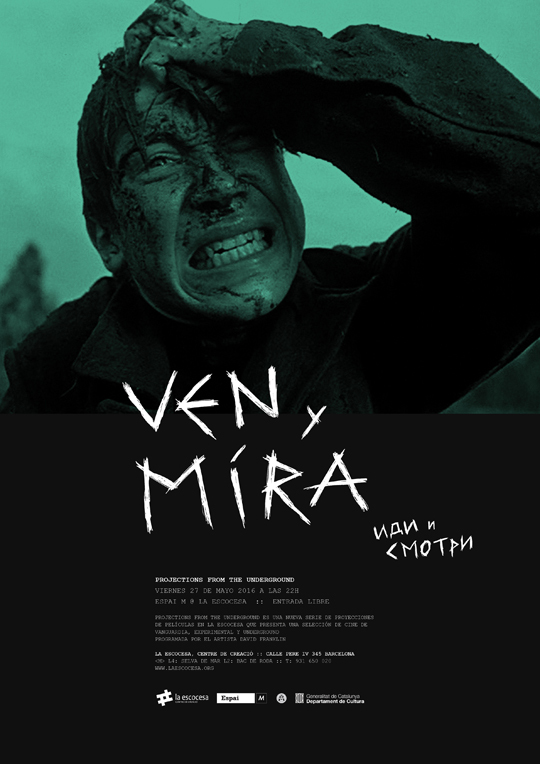 Poster designs for programme of film screenings. Art direction, design, illustration, and logo design. 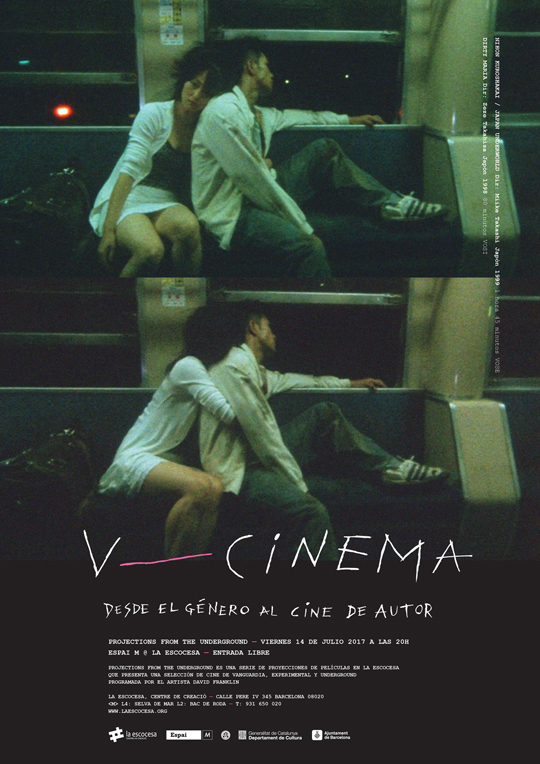 V Cinema: From Genre to Auterism. A2 poster. Adobe Photoshop and InDesign. Logo: Pen and ink on paper, Adobe Photoshop and Illustrator. 2017. 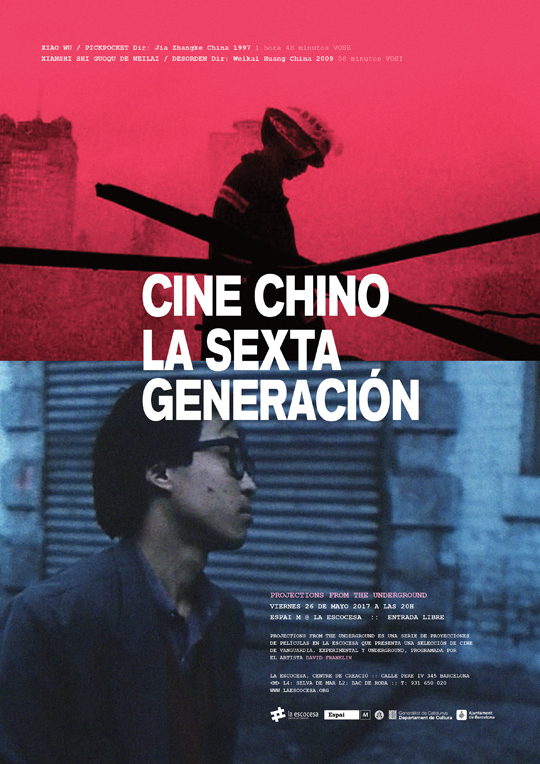 Chinese Cinema: The Sixth Generation. A2 poster. Adobe Photoshop and InDesign. 2017. Russian Cinema from the 1980s. A2 poster. Adobe Photoshop, Illustrator and InDesign. Logo: Pen and ink on paper, Adobe Illustrator. 2016. 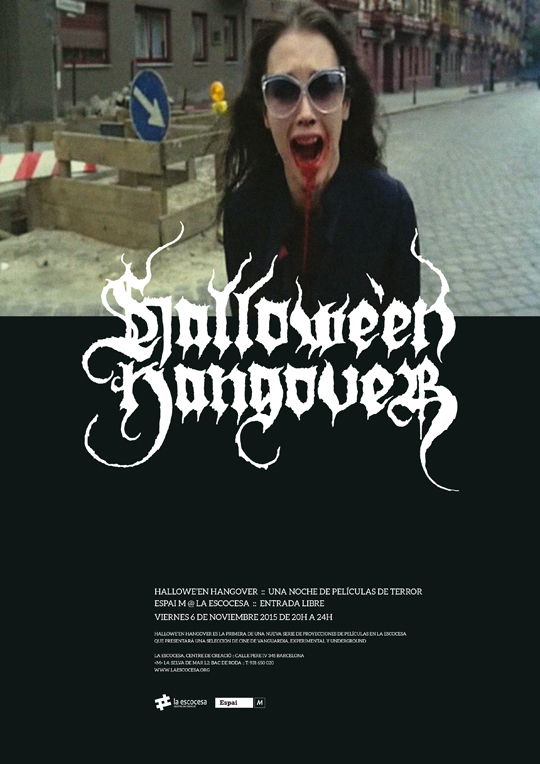 Hallowe’en Hangover. A2 poster. Adobe Photoshop, Illustrator and InDesign. Logo: Pen and ink on paper, Adobe Illustrator. 2015. 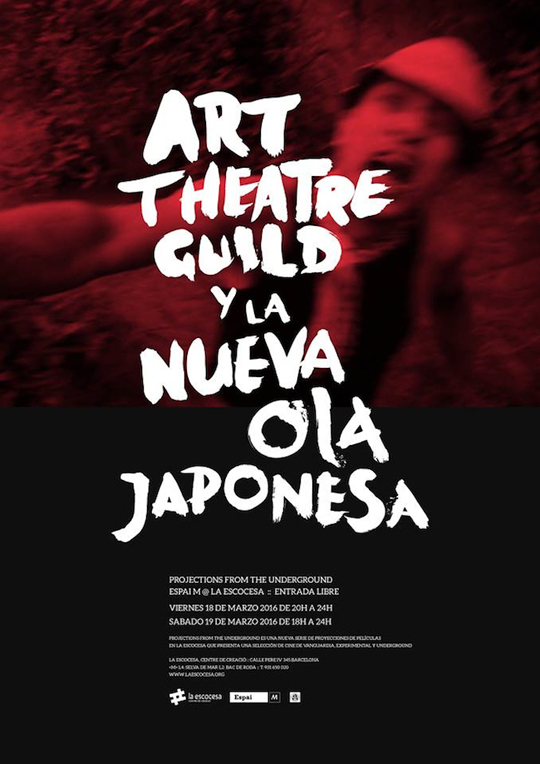 Art Theatre Guild and the Japanese New Wave. Adobe Photoshop, Illustrator and InDesign. Logo: Brush and ink on paper, Adobe Illustrator. 2016.